“The Legend of the Tacquish” depicts the story, origin, and cultural value of the “Tacquish”, an evil spirit in the Arrowhead Springs in San Bernardino, California. The legend starts buy describing to detail the exact location of the legend. 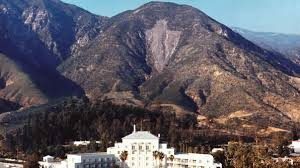 The author explains that this is happening in Arrowhead Springs in San Bernardino in Southern California. Additionally, along the legend Waite points out that the evil spirit travels to San Jacinto, a small town near San Bernardino. Waite mentions all of these specific places to emphasize the importance of the cultural context that these places play on her specific Native American tribes, rather than all Native Americans. It is crucial to understand that his legend only conveys the culture and values of the Serrano tribe. Throughout the legend, Waite uses specific words to convey an overall meaning of evil and danger. 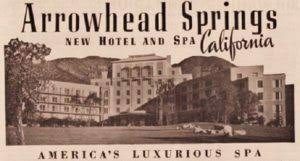 The author describes the Arrowhead Springs as having “sulfur water”, then goes on to describe the Tacquish as an “evil spirit”, and then describes the Tacquish actions by using “large ball of fire”. All of the words used in these descriptions are commonly associated with evil, malicious, and immoral. Waite uses the combination of these words to depict the true meaning of the “Tacquish”, which the reader can understand as the Serrano’s tribe devil. This ultimately shows that the tribe religion believes in a supernatural beings and spirits, rather than Christianity. Furthermore, Waite also includes words that convey the opposite meaning of evil, savior. By mentioning San Jacinto and San Bernardino, the author is hinting that this place I not only surround by evil, but by saints, since “san” is saint in English. She additionally states that this place, the springs, is also a place where “many people visit… for the purpose of taking rheumatic and other cures”. 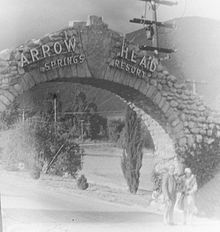 This depicts that the Arrowhead Springs is a very scared place, were both good and evil can happen. This usage of words depicts the cultural and religious value the Arrowhead Springs has for the Serrano culture. If this legend were not included in the canon, Americans would be missing an important part of the history and culture of one of it Native American tribes, in this case the Serrano tribe. Analyzing the author’s background, biography, and the time when she wrote this, reveals exciting information about Indian Schools or at least Agnes Waite’s experience. This legend was published in the Red Man in 1912, the last year Waite was a student at Carlisle Indian School. It is clear from this legend that Waite, was still thinking about her Native tribe, her culture and beliefs, even after three years of being educated otherwise: Christianity and the white people’s ways. This proves that assimilation did not work on Agnes Waite and that she was still cherishing her culture. This revelation shows an important part of American history as it reveals that Indian schools were not meeting their expectations, that no matter how many years cultures and beliefs can not be vanished away. Lastly, by including the last line in the legend, Waite compares cultures, native and whites. She finds similarities between the two cultures despite the major differences that divide them. The author concludes the legend by stating that the Tacquish is used as bogeyman story, “ when children are naughty and disobedient, they are brought under subjugation by threats of the Tacquish, whom they learn to dread, just as the little white children do the bogies”. This depicts that both Native Americans and White Americans use the same means to have their children obey and behave. Overall, this legend depicts important facts about the Serrano tribe culture and values that must be learned, it has to be part of the knowledge taught in schools because it is part of American history; despite all differences, this ledge portrays that there are similarities between cultures and that they should all be valued. It is crucial to include Native Americans’ works, such as Agnes Waite’s “The Legend of the Tacquish” in order to have a more well-rounded cultural and historical knowledge about American culture. 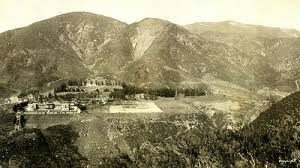 This entry was posted in Agnes V. Waite, Tribal Educators and tagged Arrowhead Springs, Beliefs, California, Legend, Religion, San Bernardino, San Jacinto, Tacquish, The Evil Spirit. Bookmark the permalink.